The United States is considered the world's foremost refuge for foreigners, and no place in the nation symbolizes this better than Ellis Island. 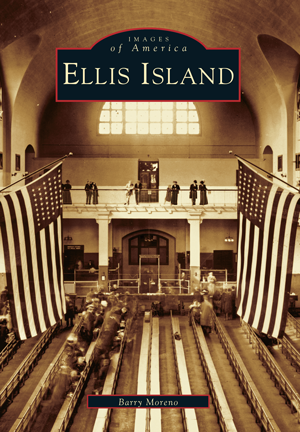 Through Ellis Island's halls and corridors more than twelve million immigrants-of nearly every nationality and race-entered the country on their way to new experiences in North America. With an astonishing array of nineteenth- and twentieth-century photographs, Ellis Island leads the reader through the fascinating history of this small island in New York harbor from its pre-immigration days as one of the harbor's oyster islands to its spectacular years as the flagship station of the U.S. Bureau of Immigration to its current incarnation as the National Park Service's largest museum. One of the nation's leading authorities on the subject, author Barry Moreno has worked in the Museum Services Division at Ellis Island for more than a decade. He is the author of The Statue of Liberty Encyclopedia and Italian Americans and is currently writing The Encyclopedia of Ellis Island.